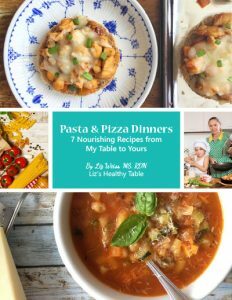 Have you seen the June issue of Cooking Light magazine yet? This month’s issue features Your Complete Guide to Gut Health with grocery shopping lists, lifestyle suggestions, and vibrant recipes all designed to boost the good bugs that live in your GI tract. Your microbiome is defined as the trillions of bacteria and other organisms that live in and on you–mostly in your large intestine–and a growing body of research reveals how your microbiome can regulate your immune system, metabolism and even your mood. 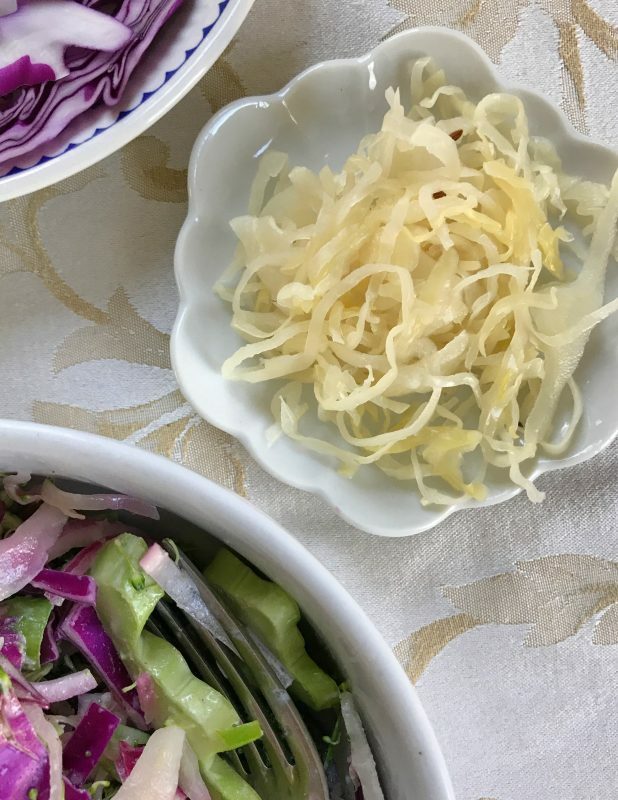 When it comes to choosing a microbiome-friendly diet, choose fermented foods rich in probiotics (AKA good bacteria) such as kimchi, kefir, yogurt, miso, tempeh, kombucha, and fresh sauerkraut. Eating them regularly can boost the diversity of your good gut bugs. 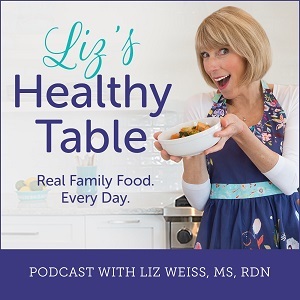 And stock your kitchen with prebiotic foods that “feed” the good bacteria including whole-wheat bread, oats, onions, garlic, cabbage, broccoli, raspberries, bananas, asparagus, and other fiber-filled fruits, vegetables, and whole grains. 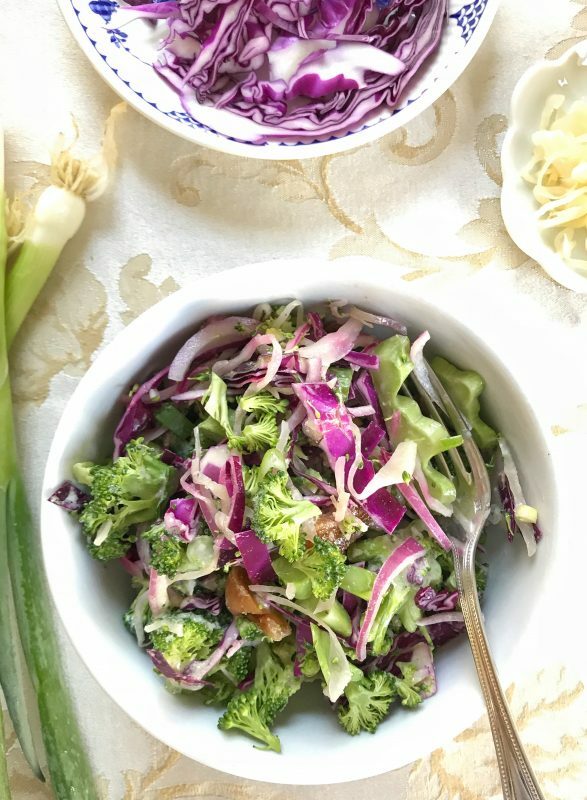 This recipe for Broccoli-and-Kraut Slaw comes courtesy of Cooking Light and provides both probiotics and prebiotics. So it’s a one-two punch in favor of a healthy microbiome. 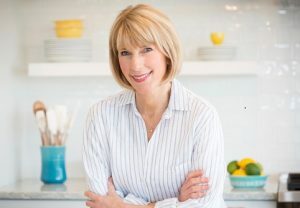 To hear more about the microbiome and what to eat to keep it healthy and strong, tune in to this week’s podcast with Brierley Horton, MS, RD from Cooking Light magazine. When shopping for sauerkraut, choose fresh. The canned version has been cooked and won’t contain the good bugs. 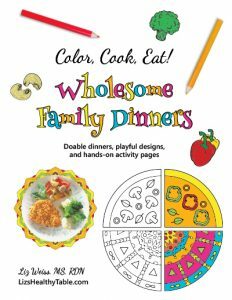 You can serve this recipe as a side dish or transform it into a main meal by topping with slices of avocado and your favorite protein: grilled chicken, salmon, beans, tofu, or shrimp. 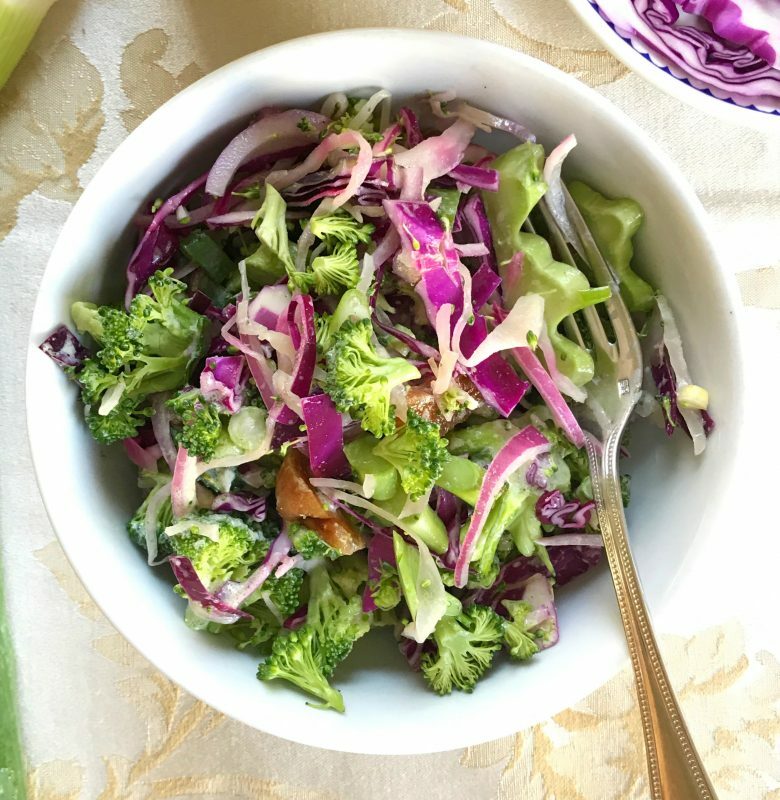 Using fresh broccoli instead of bagged broccoli slaw makes for a sweeter, more flavorful end product. Look for refrigerated sauerkraut either in the deli or by the tofu in your local grocery store (canned sauerkraut lacks probiotics). Whisk together yogurt, vinegar, oil, honey, miso, garlic, and pepper in a small bowl; set aside. 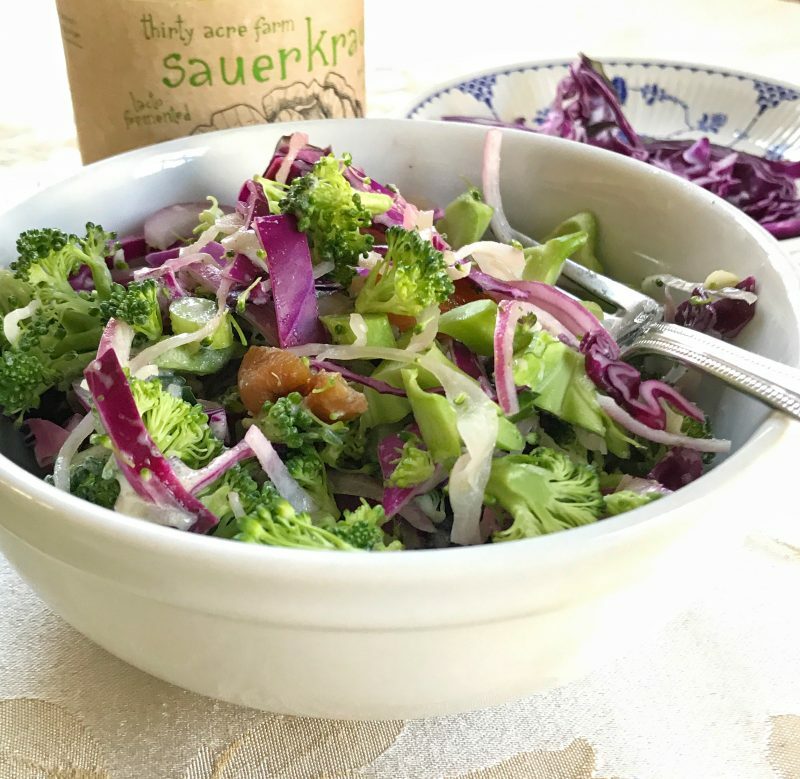 Place sliced broccoli, cabbage, red onion, scallions, raisins, and sauerkraut in a large bowl. Add miso-yogurt dressing; toss evenly until coated. Let stand 10 minutes before serving. 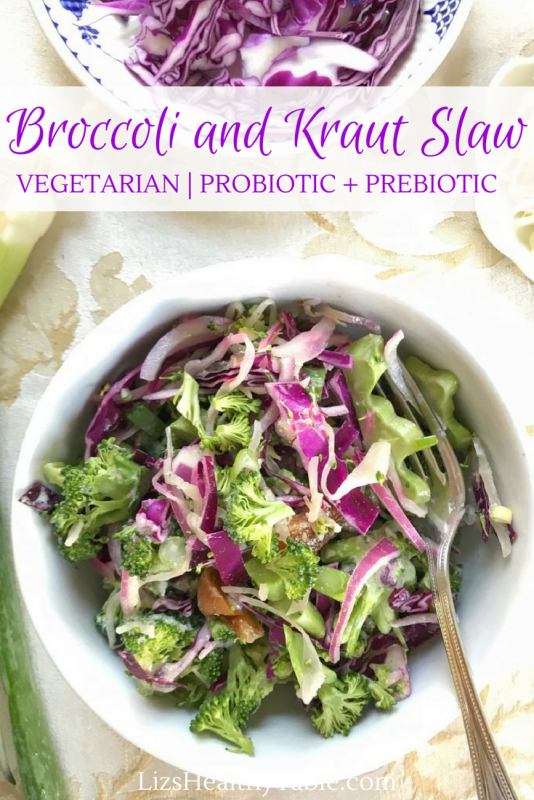 What are some of your favorite probiotic and prebiotic recipe combos?